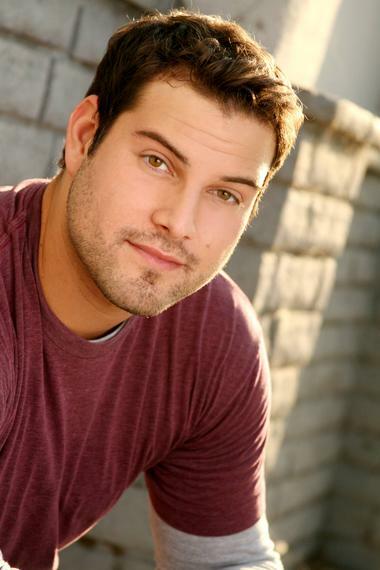 “He’s a complicated guy,” Adler said of his character. “He’s like a ying-yang. He’s got two complete different sides and he has a guard up about everything. Whoever he is, he’s not liking who that person is. That’s the problem. You can see him fit in but you also see the sad, confused side. He has two sides battling within him. He’s at war with himself. He needs to be educated,” he added. 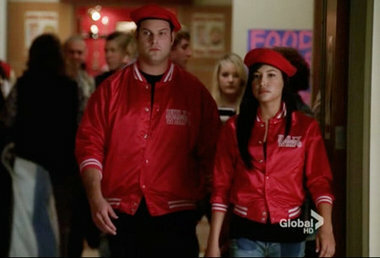 “Never Been Kissed”, “The Sue Sylvester Bowl Shuffle”, and “Prom Queen” are among Adler’s favorite episodes. 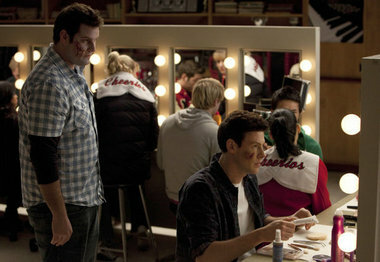 Dave suggests to Finn (Cory Monteith) that the football players and glee club perform a warm-up number before the big "Thriller/Heads Will Roll" mash-up. Adler is also involved with anti-bullying campaigning and the Muscular Dystrophy Association (MDA). “I did a video for ‘It Gets Better.’ And I’m very involved with that. The part of Karofsky is making this difference for people. It’s so cool when people say they’re coming out or feel inspired by him. I called them and told them I wanted to help,” Adler said of MDA. “My mom and grandma both had it. I was looking to get involved and thought MDA would be the best because it was a way to honor my mom. I try to raise awareness about what it is. It’s important to keep society included on what’s going on. It helps if people know what it is and contribute,” he said. Adler’s devoted fans, who call themselves “Pirates”, are a source of Adler’s inspiration. “The Pirates are my best fans ever who I love,” he said. They’re awesome. They support me so much. When I say I’m representing fans, the Pirates are the people I have in mind. The Pirates are my peeps,” Adler said.